Common Mistakes: Did This Man Ruin A President's First Term? Right now, Obama is leading McCain in national polls by 4%. Given his great ground game, financial/volunteer advantage, and enthusiasm of his base, he should be able to grow that lead by two or three percentage points by November, as undecideds break his way. But barring any other major campaign revelations on either side, there's little else that will change that dynamic come November. So at this point, mid-June, it's looking like Obama will win with approximately the same margin (or slightly better) as Bush did in '04. That would be a decisive victory, but not a landslide. 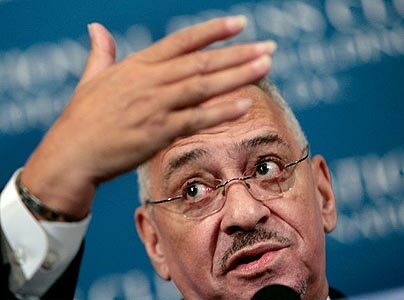 One can only wonder, then, what sorts of margin's Obama would rack up if his former pastor, Jeremiah Wright, hadn't gone ballistic on national TV back in May. If he had only kept his trap shut, the issues about his radical sermons could have probably been more convincingly put to bed. But as I've said, for a lot of people, by acting like the caricature that Obama's opponents were painting of him, as if intentionally trying to undermine Obama's chances, Wright's performance makes Obama look pretty silly for his association. What exactly motivated Wright, no one will know, but it looks like one thing may be clear: the performance might not have cost Obama his Presidency, but it will likely cost him his landslide.